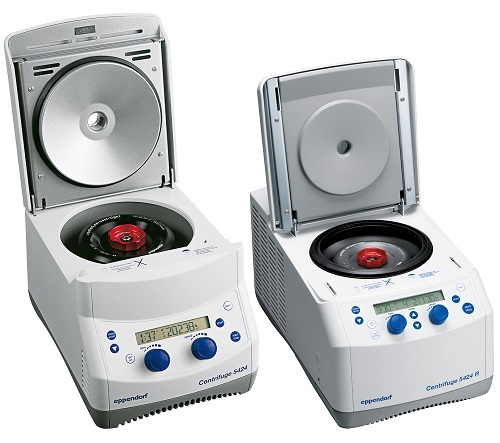 The name Eppendorf is synonymous with centrifuges. Eppendorf centrifuges have been around since they introduced their first Eppendorf centrifuge unit in 1964. Since then, the Eppendorf Centrifuge range has revolutionized life science research everywhere. The company’s focus on quality, durability and efficiency when it comes to producing every Eppendorf centrifuge has made them the market leader in lab centrifugation. With German engineering, the newest Eppendorf microcentrifuges are also renowned for their low noise level, soft-touch lid closure, and low profile. 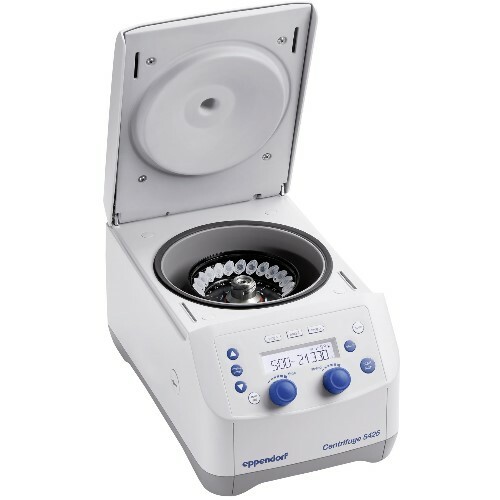 The Eppendorf 5424 Centrifuge is a fast, accurate, and durable centrifuge which satisfies any application. With their 24-place capacity and speed up to 21,130 × g they are perfectly equipped for all modern molecular biology applications in Eppendorf and PCR tubes. When working with spin columns kits, the Eppendorf Kit rotor® with raised rim solves the issue of open tube caps shearing off during the elution step. The refrigerated Eppendorf 5424 R Centrifuge features state of the art cooling technology to ensure energy efficiency and high-temperature accuracy for maximum sample protection. For ease-of-operation and time savings, the Eppendorf 5424 R Centrifuge cools down to 4 °C in only 8 minutes. 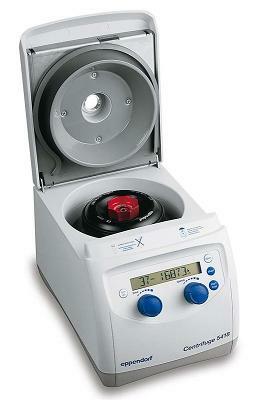 The Eppendorf Centrifuge 5724 is the ideal centrifuge for labs looking to meet their high sample throughput demand. It is well suited for high-end research applications because of its safe, reliable, and multiple rotor availability. This high-quality centrifuge delivers quiet operation and new double-row 48-place rotor that will increase productivity in your lab. Eppendorf Centrifuge 5418 Eppendorf 5418 R are ultra-compact 18-place centrifuges that fits on even the smallest lab bench. About the size of a standard sheet of paper, it provides up to 16,873 x g (14,000 rpm) and offers a broad range of features that make your lab work easier. The Eppendorf 5418 is whisper quiet—even when running without the rotor lid—to improve your work environment. 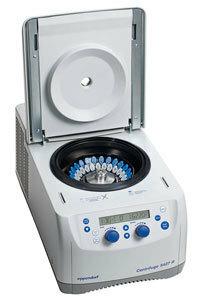 Designed to increase efficiency, the Eppendorf Centrifuge 5425 has improved acceleration and deceleration. There are now 10 acceleration and braking ramps to minimize the time spent in between spins. Furthermore, the Centrifuge 5425 also comes equipped with Eppendorf QuickLock technology for ergonomic and rapid rotor lid locking. The rotor lid can now quickly be securely locked with only a quarter turn. This reduces the time spent preparing the Centrifuge 5425 before a spin and then the time spent removing samples after a spin, all while relieving the repetitive stress on the wrist.